Hanger Steak | The Bee's Kitchen: Tasty. Home. Cooking. 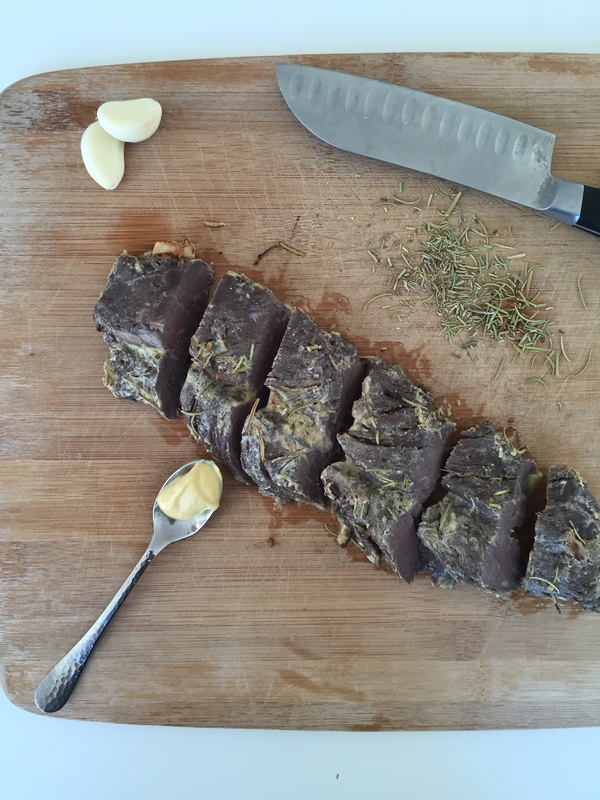 Hanger steak is a very easy type of meat to cook: in the oven or on the stove top. The results are always amazing. But this meat is very salty and it took me a few weeks to learn the trick: soak the meat in a bowl of water for about 2 hours and changing the water every two hours. I made a very easy marinade and broiled it in the oven. Delicious! In a small bowl, combine all of the ingredients and pour over the steak. Let it marinate 2 hours in the fridge. Turn the broiler on and put the steaks for about 6-7 minutes on each sides. Slice the steaks before serving.